South Africa-based global internet and entertainment group, Naspers Limited today announced the sale of its 11.18% stake in Indian ecommerce company Flipkart, to US-based retailer Walmart for $2.2bn, representing an IRR of approximately 32%. Launched in October 2007, Flipkart is India’s largest ecommerce marketplace. 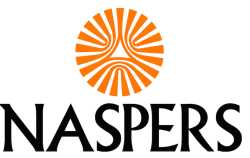 Naspers initially invested in August 2012 and its cumulative investment to the point of sale amounts to US$616m. The proceeds will be used to reinforce Naspers’ balance sheet and will be invested over time to accelerate the growth of Naspers’ classifieds, online food delivery and fintech businesses globally, and to pursue other exciting growth opportunities when they arise. Flipkart is one of several leading businesses that Naspers has invested in or built in India. Following the sale of its stake in Flipkart, in India, Naspers retains OLX, the leading online classifieds business, PayU, a leading provider of payment and fintech services, and its investments in Swiggy, the leading online food delivery company, and MakeMyTrip, the leading online travel business. The transaction is subject to regulatory approval and is expected to close later in the year. (Bloomberg) – Africa’s largest company just chalked up another major investment coup. Naspers Ltd. netted a cool $1.6 billion profit from the sale of its 11 percent stake in Indian e-commerce startup Flipkart, a deal almost as lucrative as its sale of Polish online auction site Allegro in 2016. The move helps to line the pockets of the media and technology company, which is scouring the globe for investments to convince shareholders it’s on the right track. 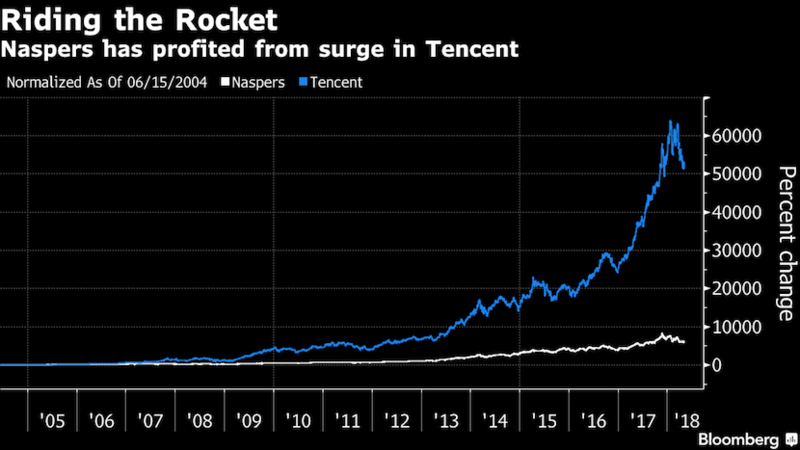 With its roots in South African newspapers, Cape Town-based Naspers hit the jackpot 17 years ago with a speculative punt on then-obscure Chinese company Tencent Holdings Ltd. The initial $32 million outlay is now worth almost $150 billion – and that’s after Naspers sold off a chunk of the internet giant for almost $10 billion six weeks ago. The problem is that investors value the whole of Naspers at less than its Tencent stake, suggesting they see every other part of the business as worth less than nothing. And that’s where the likes of Allegro and Flipkart come in. Chief Executive Officer Bob Van Dijk has vowed to close that valuation gap, and unlocking cash from the company’s myriad other investments helps to do just that. “With this sale our return on cost of capital was almost three times — it’s been one of our better investments,” Van Dijk said by phone Wednesday. Naspers retains several other Indian businesses, including online classifieds business OLX, food-delivery firm Swiggy and travel business MakeMyTrip, and remains heavily committed to the country, he said. However, there’s a suspicion that Naspers wasn’t the one driving the decision to sell. Walmart Inc., the world’s biggest retailer, is buying a 77 percent stake in Flipkart for $16 billion, and will be calling the shots henceforth. Walmart declined to comment. 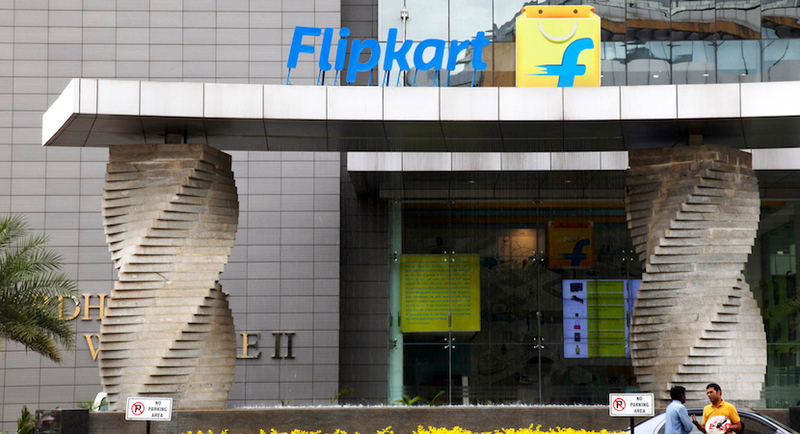 With the U.S. giant as majority shareholder, Naspers’s influence on Flipkart would have been significantly reduced, Van Dijk said in response. “Our investment would just have become a financial investment. And Naspers is not a financial investor, it’s a strategic investor,” he said. No matter. The sale shows that Naspers can still pick a billion-dollar winner — even if it never replicates the success of Tencent. Naspers shares rose 0.7 percent to R3,096 at 4:50 p.m. in Johannesburg, valuing the company at R1.36 trillion ($108.3 billion). Naspers bought into Flipkart in 2012 and has invested a cumulative $616 million. The sale value of its stake was $2.2 billion.